The Byzantine Empire (Basileia to-n Romaio-n) is the term conventionally used since the 19th century to describe the Greek-speaking Roman Empire of the Middle Ages, centered around its capital of Constantinople. In certain specific contexts, usually referring to the time before the fall of the Western Roman Empire, it is also often referred to as the Eastern Roman Empire. To its inhabitants, the Empire was simply the Roman Empire and its emperors continued the unbroken succession of Roman emperors. During much of its history it was known to many of its Western contemporaries as The Empire of the Greeks due to the increasing dominance of its Greek population and distinct culture. 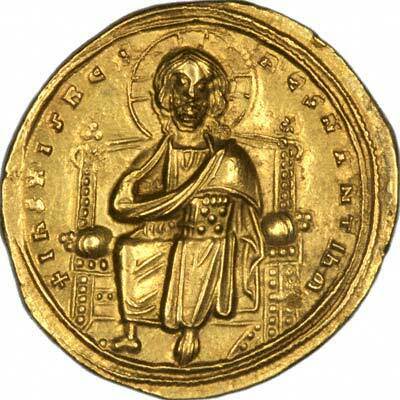 There is no consensus on the exact point when the Byzantine period began. Some place it during the reign of Emperor Diocletian, (284-305) who introduced administrative reforms that divided the empire into a pars Orientis (eastern half) and a pars Occidentis (western half). 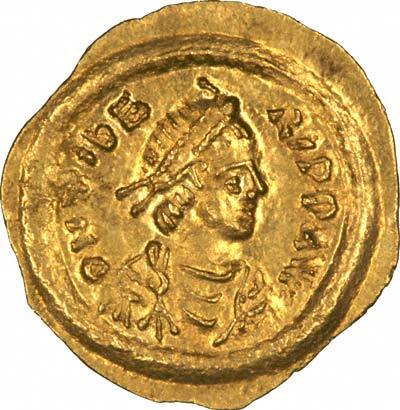 Some consider Constantine I the first Byzantine emperor. Others start it during the reign of Theodosius I (379-395) and Christendom's victory over pagan Roman religion, or, following his death in 395, with the permanent division of the empire into western and eastern halves. Others place it yet further in 476, when the last western emperor, Romulus Augustus, was forced to abdicate, thus leaving sole imperial authority to the emperor in the Greek East. Others again point to the reorganisation of the empire in the time of Heraclius (ca. 620) when Greek was made the official language and the Empire's conflicts turned largely to the east. 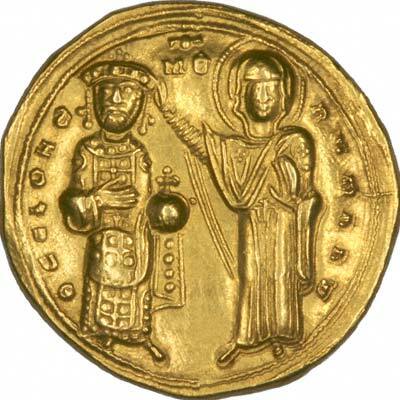 In spite of the argument amongst historians as to when the Byzantine period began, as far as most numismatists are concerned, the Byzantine period began with the coinage reforms of Anastasius I (491-518) during which the monetary system moved away from that of the late Romans towards one which is traditionally associated with the Byzantine Empire. Whatever the case, the changeover from Roman to Byzantine was gradual and by 330, when Constantine inaugurated his new capital, the process of further Hellenization and increasing Christianization was already under way. The Byzantine Empire was a major world power for most of the middle ages, although it had by this time entered a period of terminal decline in the face of Islamic, Turkish and Venetian expansionism. The borders of the Empire slowly receded, until the 15th century when the Byzantine Empire barely stretched beyond the walls of Constantinople. The capital city eventually fell to the Ottomans in 1453, bringing to an end nearly two thousand years of 'Roman' history. 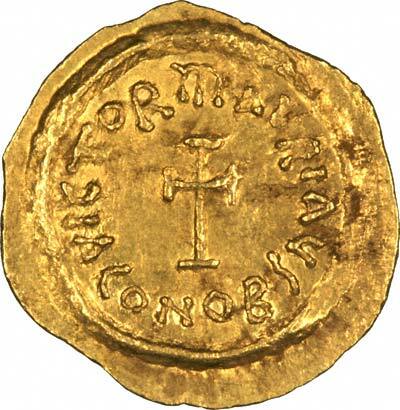 The abbreviation CONOB can be found usually in the exergue on the reverse of many gold coins of Byzantium.